Maximum versatility makes 815MX your one product cleaning solution. Replaces most cleaners and degreasers, reducing your inventory. Widely accepted throughout the industry due to its special approvals and testing compliance. The South Coast Air Quality Management District which is a smog control agency for all or portions of Los Angeles, Orange, Riverside and San Bernardino Counties, of California, certified 815MX as a clean air solvent. Safer for the user and the environment, this floor wax scuff remover contains no butyl, solvents, glycol ethers, acids or free caustics. Non-flammable. Bidegradable. Leaves no residue. Provides legendary cleanability on even the toughest soils. Safe to use on virtually all water safe surfaces. Recommended for use in industrial maintenance, food handling/processing, building maintenance, transportation industries, and fire restoration. Removes rubber & tire marks, tar, greas, oils, lubricants, animal fat, carbon, smoke residue! Mix with hot or cold water using the dilution rate for your soil type. Apply using a mop, sprayer, cloth, foam gun, automatic scrubber, pressure washer, or by flooding surface. 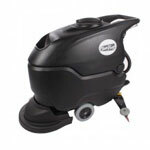 Let solution dwell on lightly soiled floors for 5 minutes, and up to 15 minutes for heavily soiled floors. Agitate if necessary using a brush, scrub pad, or deck broom. Rinse with water and let it air dry.